So it has been silent for a few weeks on our blog front! 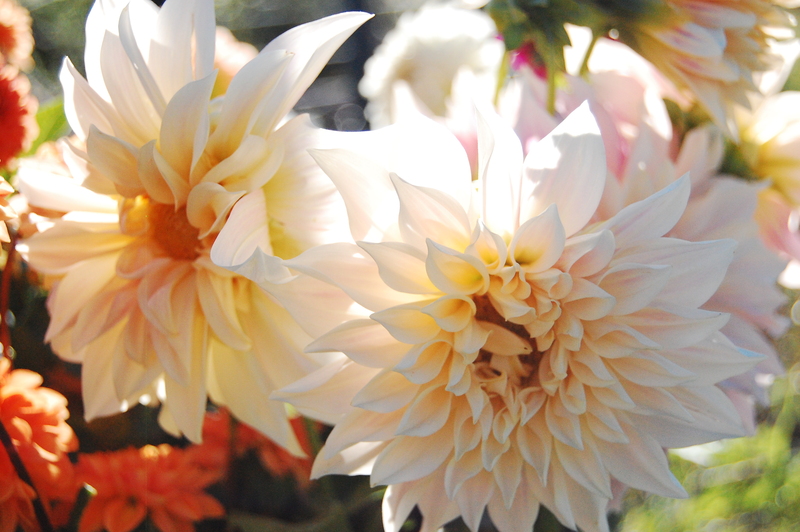 We have been busy this fall planting tiny flower seedlings and sowing flowers for next spring. Some of these flowers include snapdragons, icelandic poppies, queen anne’s lace, love-in-a-mist, larkspur, black-eyed susan’s and more, oh we can’t wait for the spring blooms! We have also been working hard on our house (a photo post on that to come later with updates) and been making bouquets for weddings! Our last wedding of the season was mid-October and we were delighted to have the opportunity to make 2 bridal bouquets for our friends Erin and Grace. 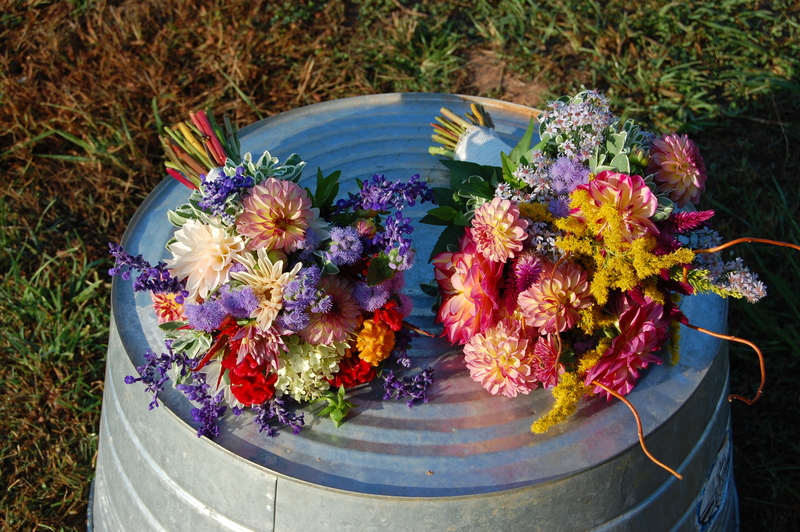 Jonathan and I each made a bouquet and we remarked how far we have come in developing our style of bouquet making. 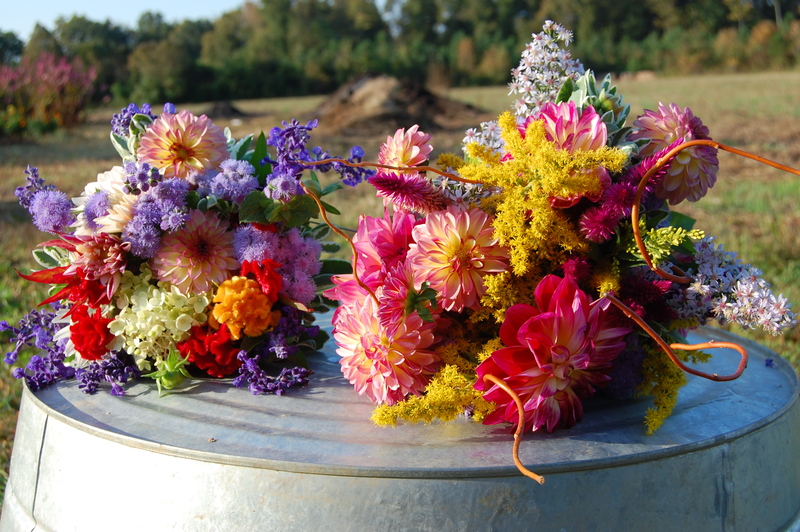 Floral design has become one of our favorite aspects of growing flowers. 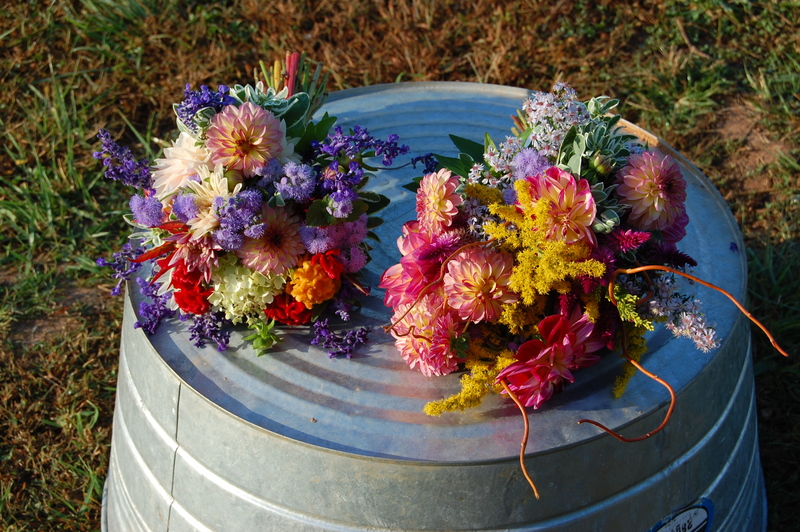 My goal before frost: learn to make a flower crown with the remaining flowers of the season. 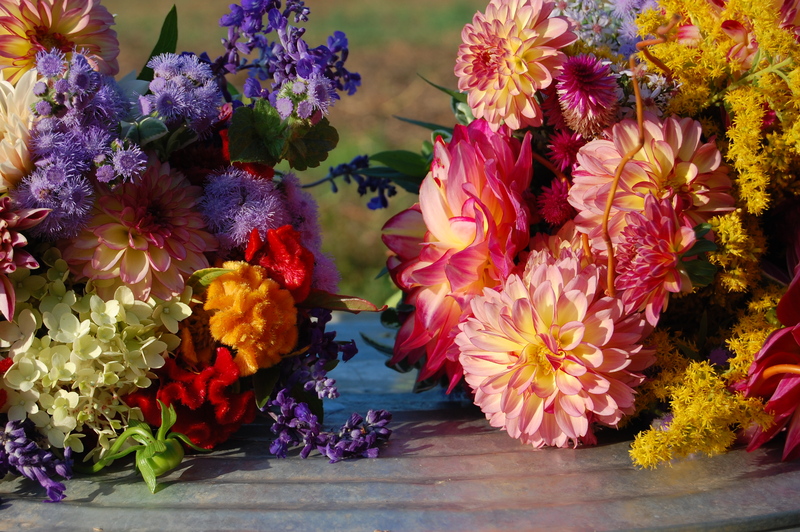 We are now taking reservations for the wedding season 2015, so if you know anyone getting married who is interested in fresh, local blooms for their day, send them onto to Spring Forth Farm! 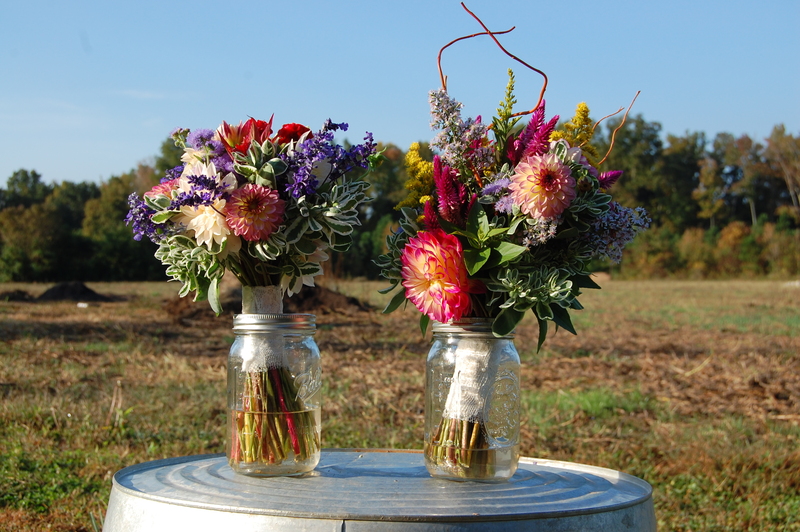 Enjoy the photos of Erin and Grace’s bouquet! 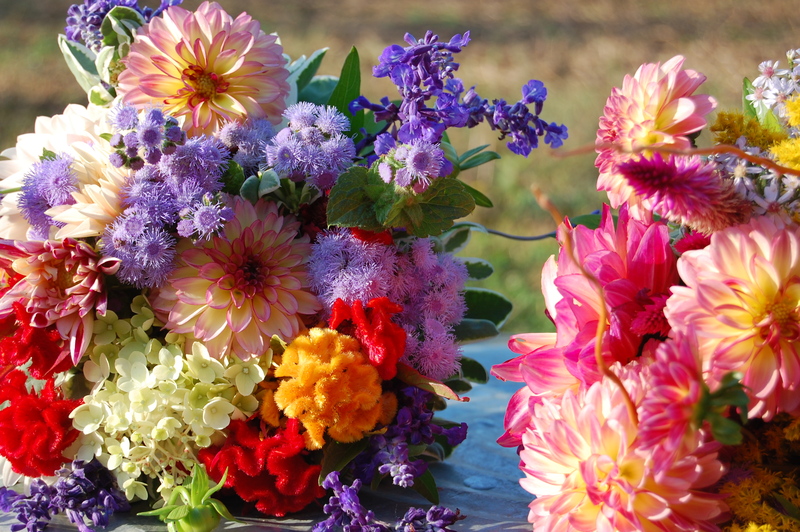 The Right bouquet uses curly willow. We are learning to grow all different varieties of willows for use in our floral design. Previous As The Season Ends…. Stunning flowers! Gorgeous photos! Lucky wedding to have such joyous blooms.